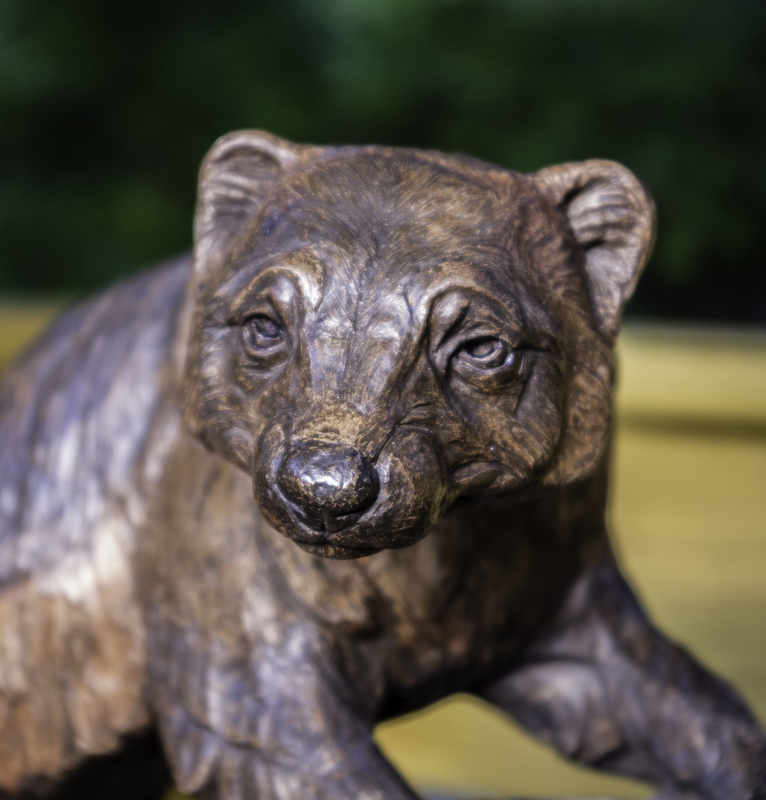 For the past 5 or 6 years, I’ve been concentrating on learning to sculpt in clay. I think I’ve managed to get a handle on the medium and looking back on my sculptures, I believe I’ve progressed reasonably. I’m even rather proud of a few of my pieces, and that, for those who know me, is quite a statement. There are issues. One is that the art center I go to has become prohibitively expensive. I would buy a kiln but there is no safe place to install it in this teeny, overpacked house. 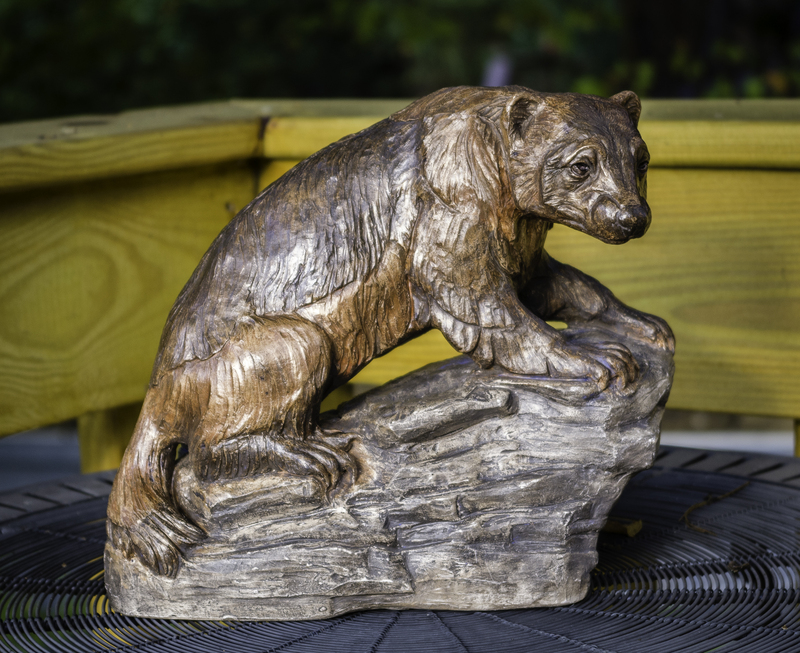 So, my plans to sculpt a series of endangered, misunderstood and maligned animals has become undoable. Before I began sculpting, my medium was oils, but here again, I have a logistical problem with space. I am working in a tiny corner of the tiny “sunroom” which is actually just an enclosed porch with a lot of drafty windows, ugly paneling and because of its shape, is more shaded than lighted. I share this space with my parrot, Milo. The fumes from turpentine and linseed oil are not so good for parrots. Also a very steeply sloped ceiling makes setting up my easel impossible. Oils are right out. I decided that I need to develop my ideas using not-toxic materials that can be done in a small setting without spending a fortune. My solution was to learn how to use watercolors and colored pencils. I’m already quite adept with graphite — drawing with graphite is like breathing for me. I used to use charcoal all the time when I was younger, so despite being hideously rusty with charcoal, that’s in the new mix of preferred media. The first animal I chose to research was the wood stork. By all accounts a most ungainly bird. Ungainly appeals to me. I did some preliminaries and then a graphite portait and a small watercolor. I am proud of the portrait and not too displeased with the watercolor. 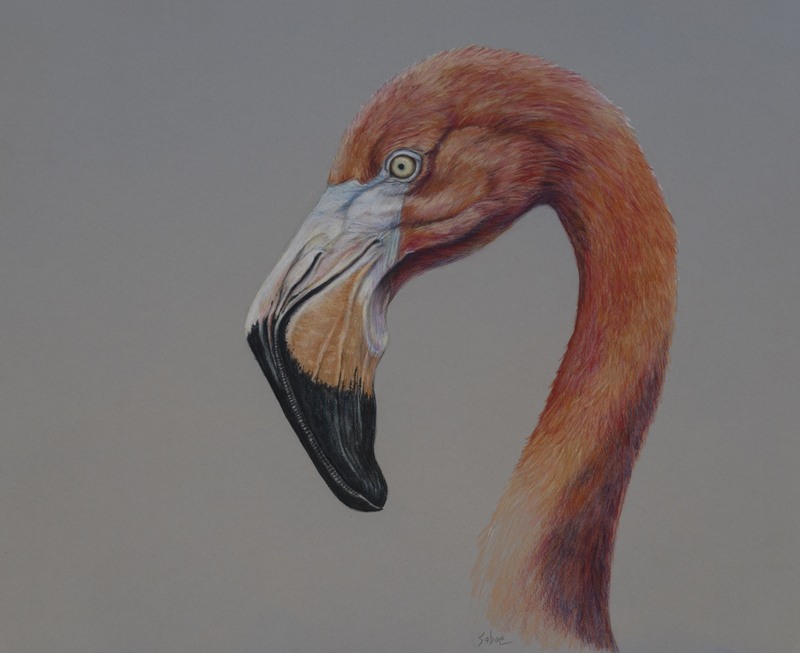 Here’s the portrait… what an impressive bird! 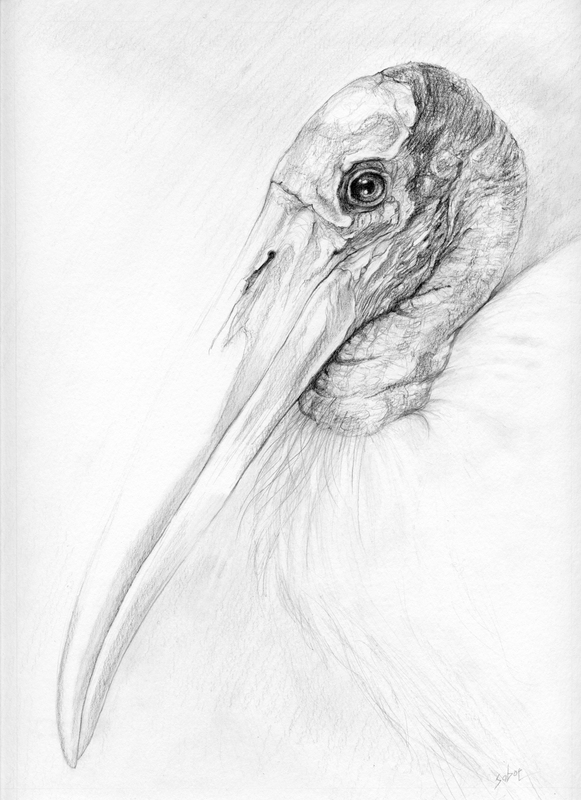 Wood Stork, pencil. Resource photo: © Tammy Karr, with permission. After I worked on this guy, I decided to look for other ungainly birds (I will return to the Wood Stork, I promise). As a lark, I started sketching flamingoes without giving them any serious thought. Suddenly, while trying to figure out that incredible beak, I realized that I needed to research this magnificent bird who has become not much more than a tacky lawn ornament to most in this country. As far as anyone can tell, they may or may not be related to grebes, storks, ibises, spoonbills, pigeons, doves. There are 6 species, 4 in the new world, 2 in the old. For the grebe-flamingo clade, the taxon Mirandornithes (miraculous birds) has been proposed. Their color comes from the caretenoids in their diet, they filter feed on brine shrimp and blue-green algae. as i was drawing their beaks during research, it occurred to me that their beaks reminded me of baleen whales. The Ancient Egyptians believed them to be the living representation of the god, Ra. Ancient Romans considered their tongues a delicacy. They were worshipped by the ancient people of Peru. They are the nationals bird of the Bahamas. and in the United States, we have turned them into cheap, pink plastic lawn ornaments. Wiki entry for flamingoes is here: https://en.wikipedia.org/wiki/Flamingo for more info. 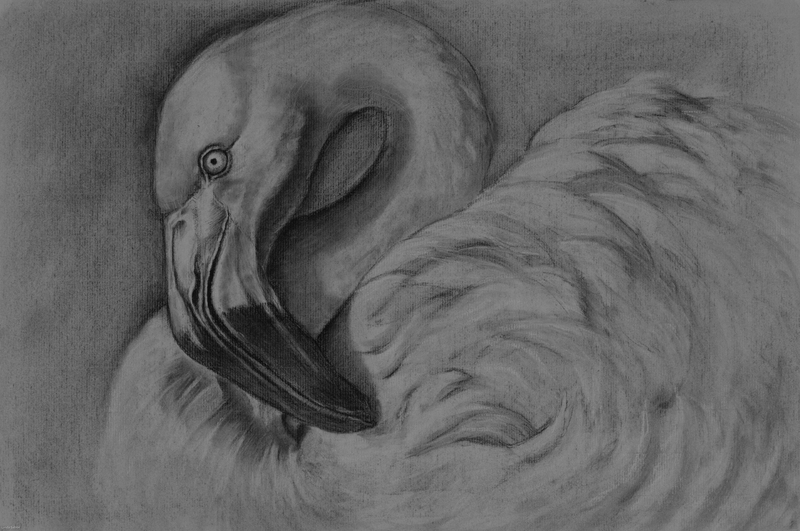 So, this is the work I started with the flamingo. 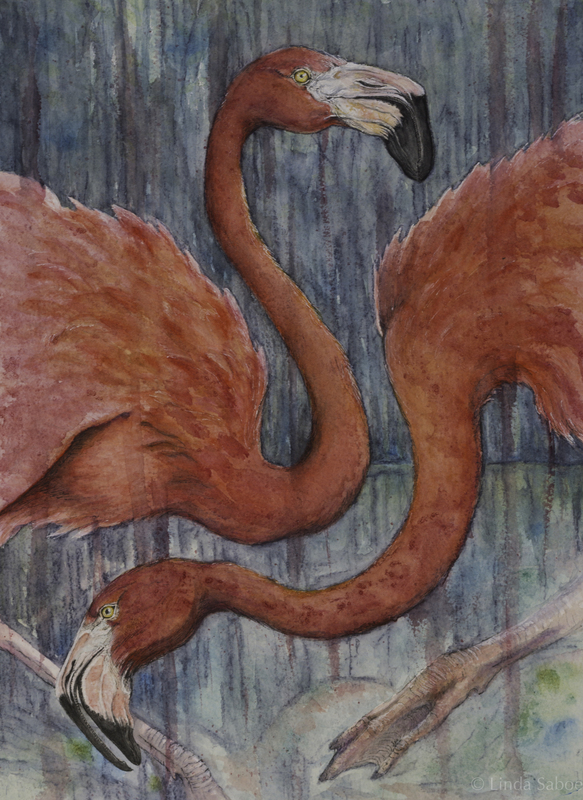 The flamingo (who was once a god) is teaching me watercolor (slowly and painfully), colored pencil (slowly but not so painfully), and a revisit with my old friend, charcoal. I hope you enjoy the flamingoes, and I hope you notice that this magnificent bird is anything but tacky. Flamingo in White by Linda Saboe. Charcoal, 18″x 24″. 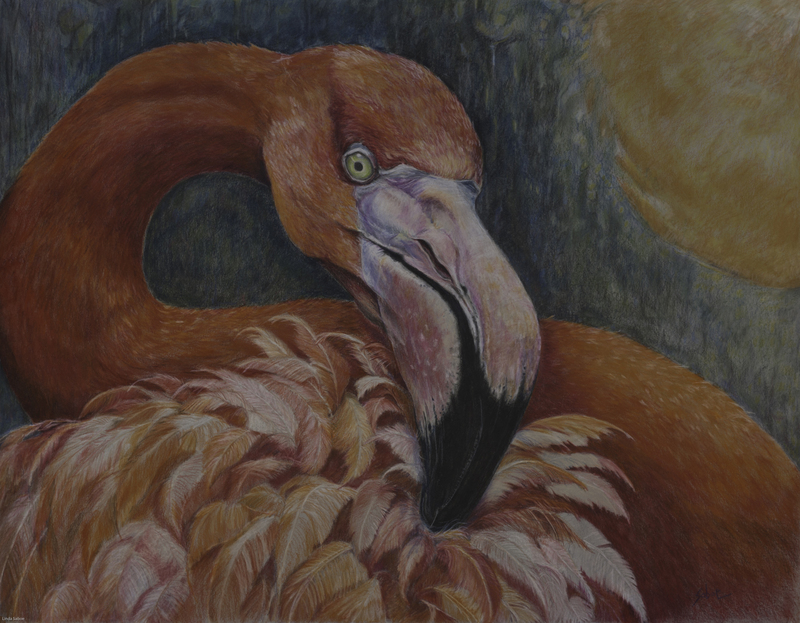 Flamingo Apart by Linda Saboe. Watercolor and ink, 10″x 14″, resource photo: Dreamstime/Yinan Zhang. Synchronized Flamingoes. Watercolor and ink, 10″x 14″. No resource, just made up in my head. 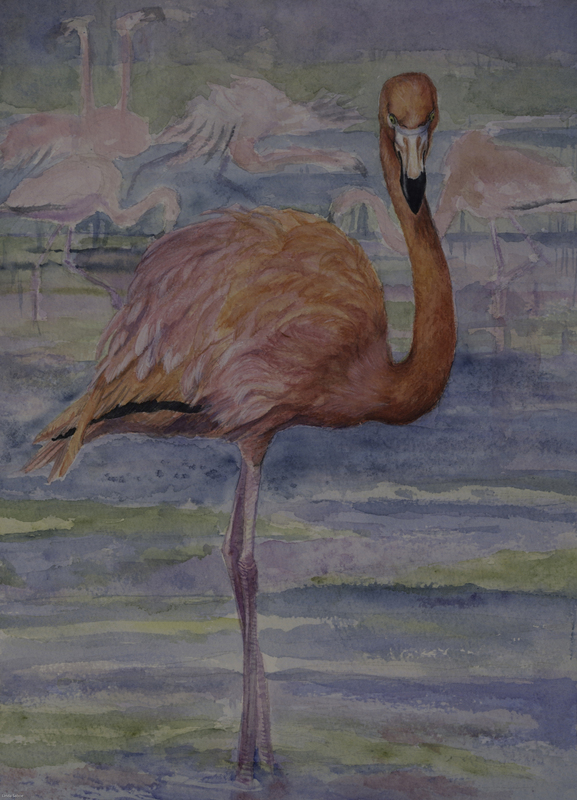 Flamingo by Linda Saboe. Colored pencil, 14 ½“x 18”. Resource photo: American Flamingo (Phoenicopterus ruber) (cc) Robert Claypool. Once, I was a God by Linda Saboe. Colored pencil, 16″x 20 ¼“. Resource photo: Daniel Healy (still trying to contact him via Your Shot Photo Community, National Geographic). One other thing I learned…I’m not very good at taking photographs of art. 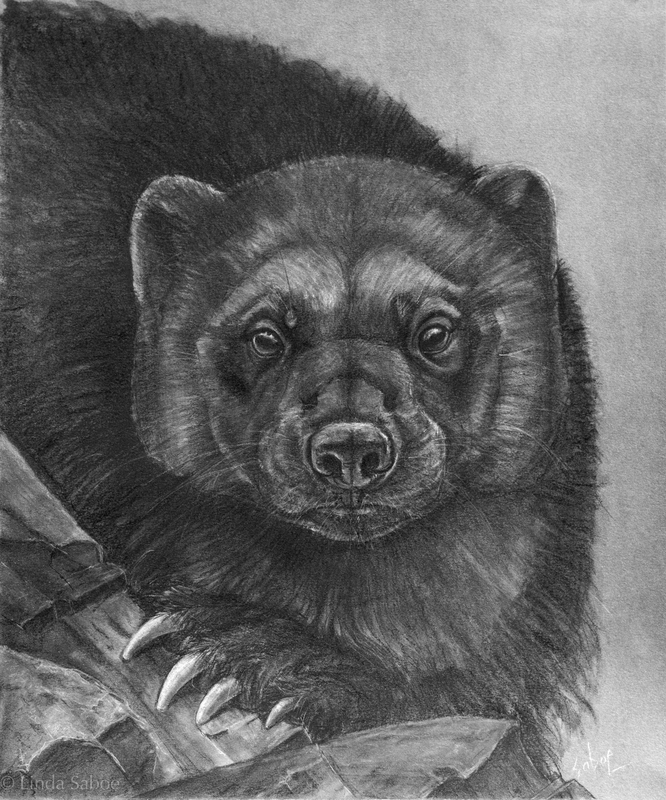 I also like wolverines. But more about her later.